PHOTOSPHERE The lowest layer of the Suns atmosphere that is also the visible part we see. 1 PHOTOSPHERE The lowest layer of the Suns atmosphere that is also the visible part we see. 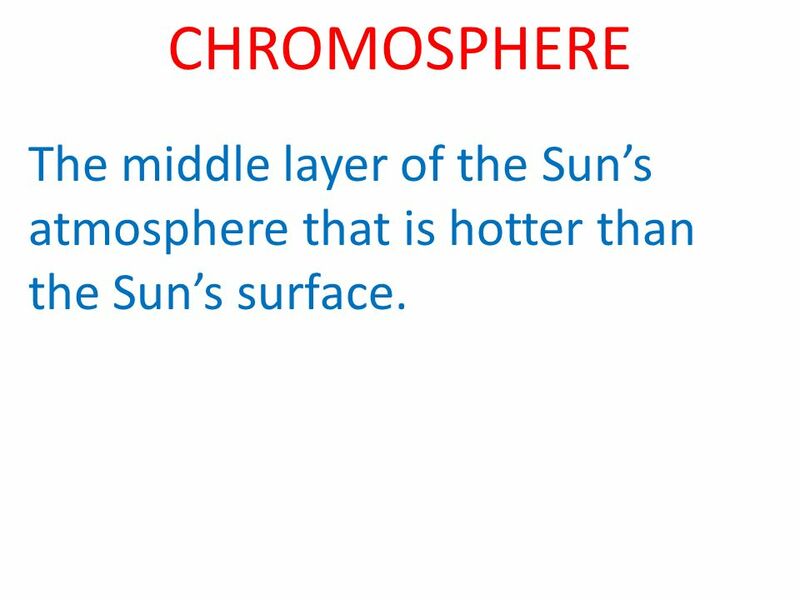 2 CHROMOSPHERE The middle layer of the Suns atmosphere that is hotter than the Suns surface. 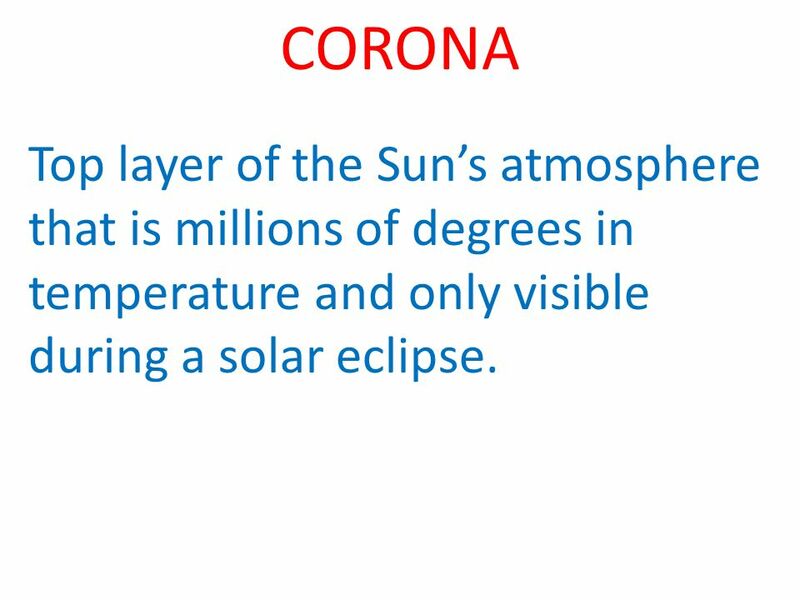 3 CORONA Top layer of the Suns atmosphere that is millions of degrees in temperature and only visible during a solar eclipse. 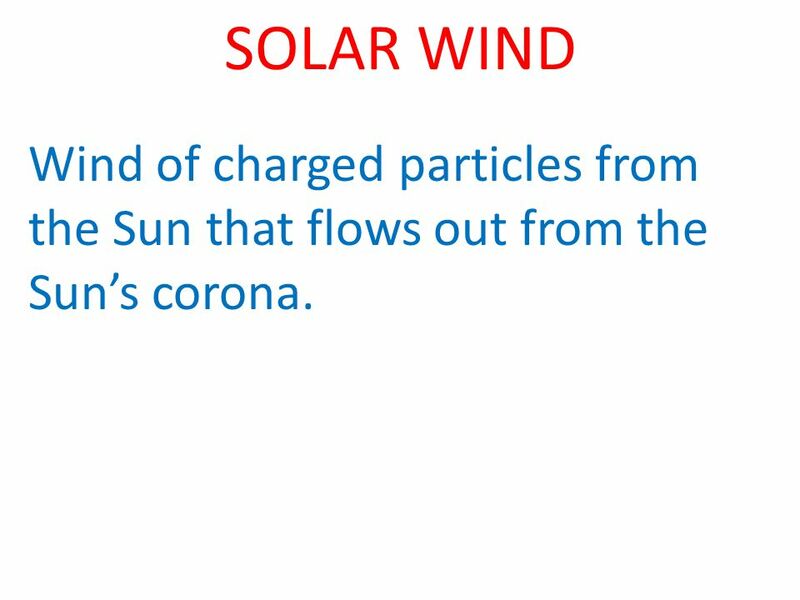 4 SOLAR WIND Wind of charged particles from the Sun that flows out from the Suns corona. 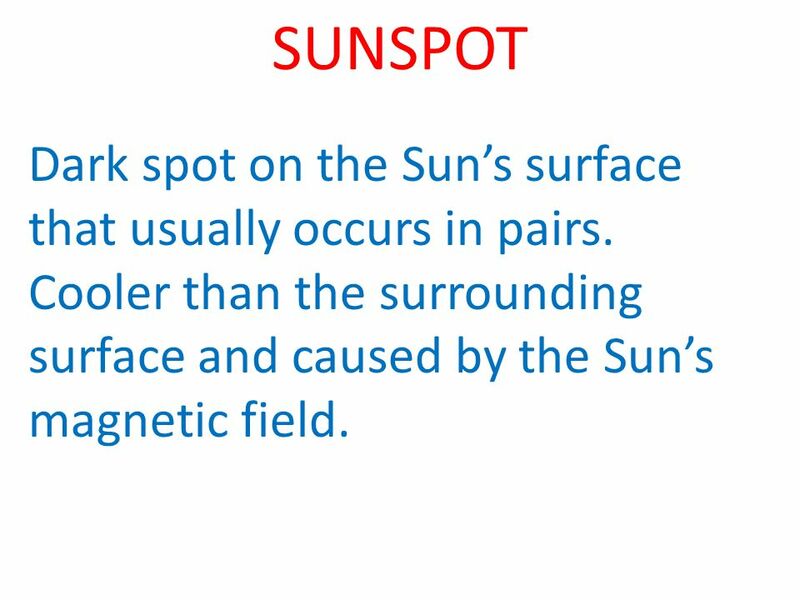 5 SUNSPOT Dark spot on the Suns surface that usually occurs in pairs. Cooler than the surrounding surface and caused by the Suns magnetic field. 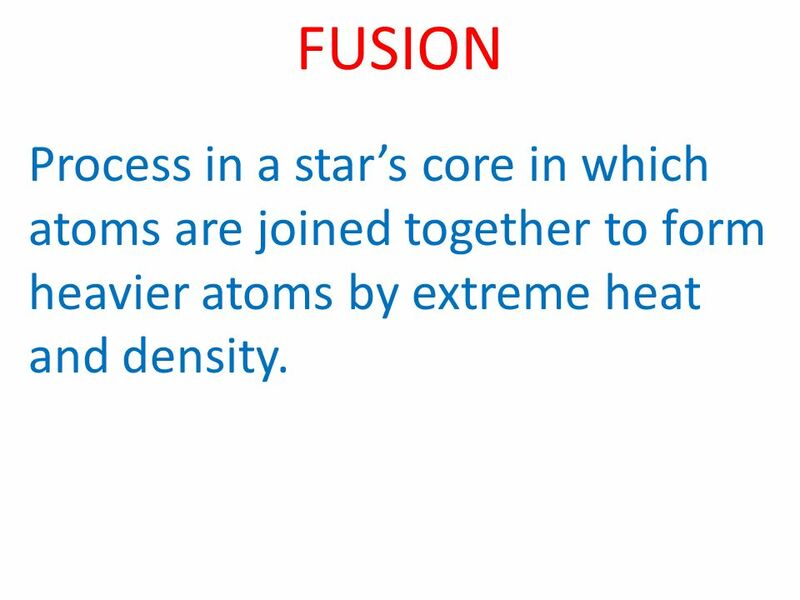 6 FUSION Process in a stars core in which atoms are joined together to form heavier atoms by extreme heat and density. 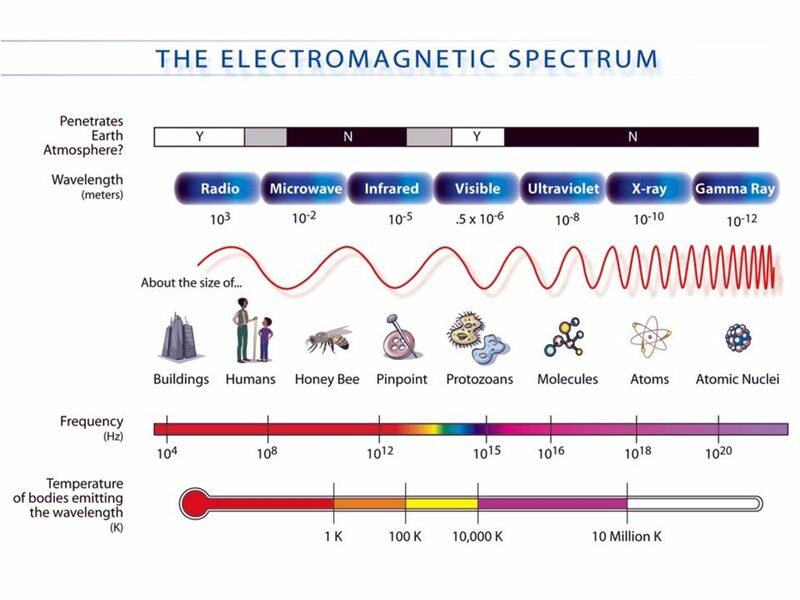 7 SPECTRUM All of the wavelengths of electromagnetic radiation arranged from shortest to longest. 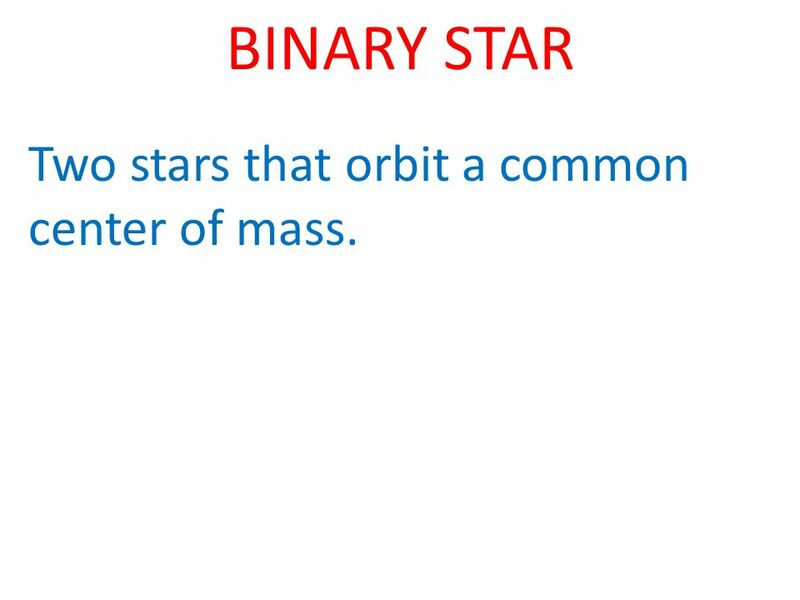 9 BINARY STAR Two stars that orbit a common center of mass. 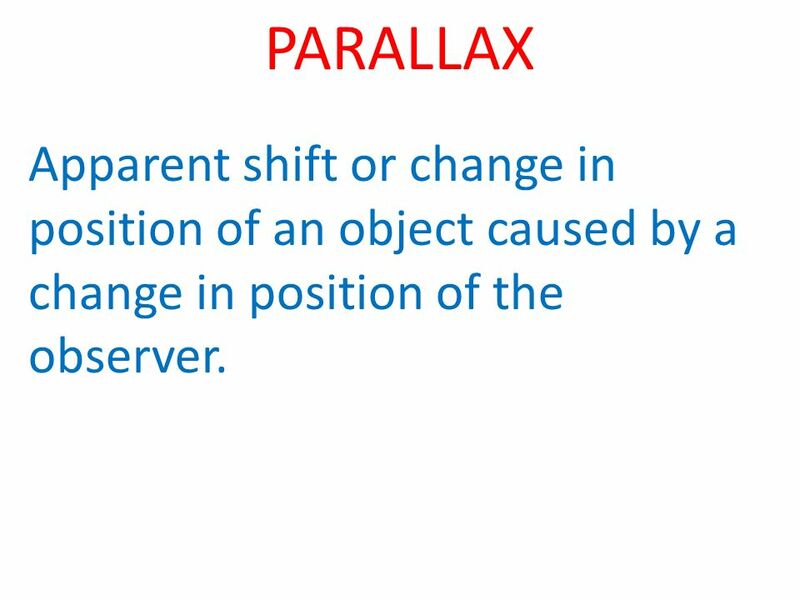 10 PARALLAX Apparent shift or change in position of an object caused by a change in position of the observer. 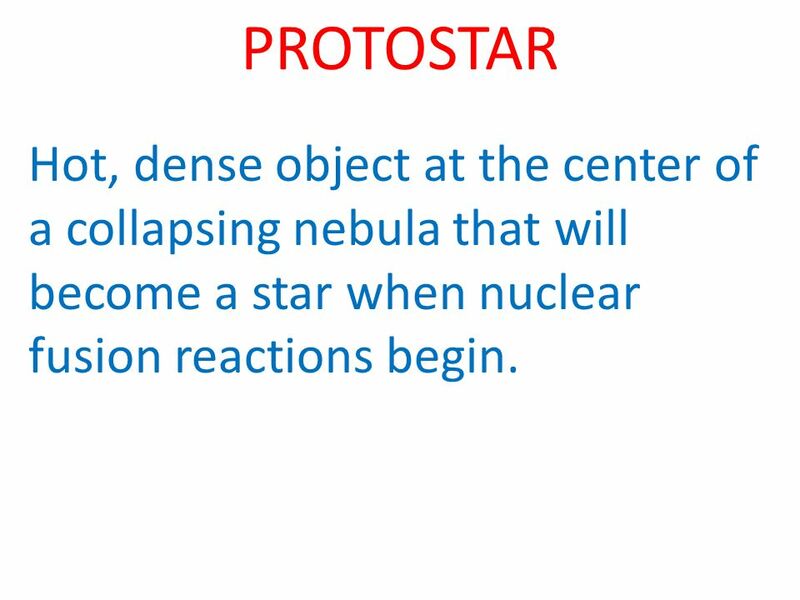 11 PROTOSTAR Hot, dense object at the center of a collapsing nebula that will become a star when nuclear fusion reactions begin. 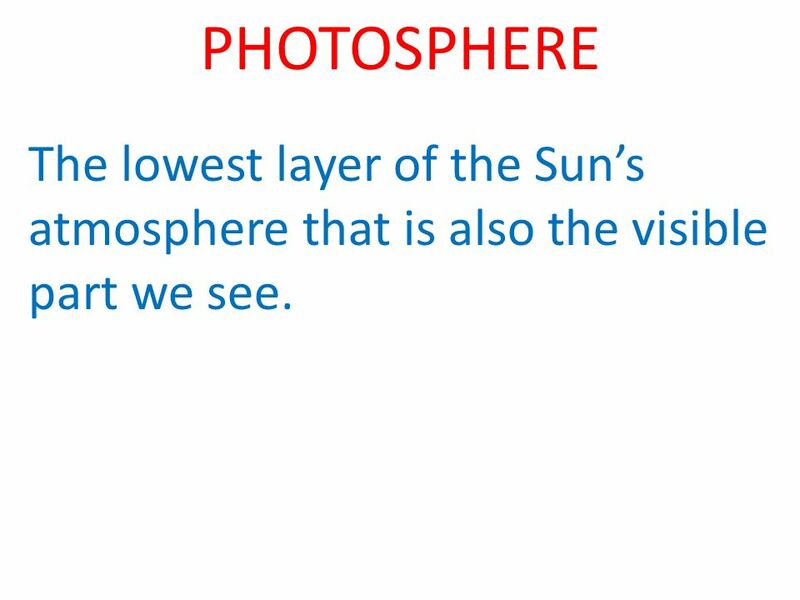 Download ppt "PHOTOSPHERE The lowest layer of the Suns atmosphere that is also the visible part we see." What is the fate of our sun and other stars? The Sun. Sun A small star About 5 billion years old (should last 5 more) Composed of 75% hydrogen and 25% helium All elements in plasma phase ( hotter. The Sun’s Structure & Features Chapter 26.1 Chapter % H 28% He The sun is made up of gas Temps: 15 million K at core / 5000 K at surface The sun. 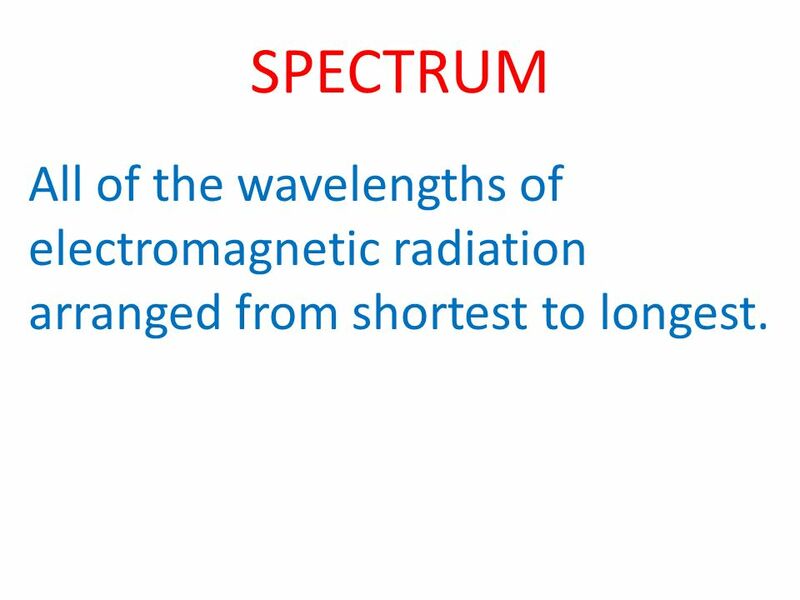 The Sun Astronomy 311 Professor Lee Carkner Lecture 23. + The Sun. Sun Facts Makes life on our planet possible by giving us great amounts of light and heat Contains about 98% of the mass of the entire Solar. The Sun Earth Science - Mr. Gallagher. The Sun is the Earth's nearest star. Similar to most typical stars, it is a large ball of hot electrically charged. The Sun. 99% of the matter of the solar system is in the Sun. The Sun is an Average Star (main sequence star) The sun is not a Binary Star. (most stars. Stars, Galaxies, and the Universe Chapter 22 Page 752.